V. S. Associates offers the services of a Real Estate Consultant in Sonepat. We offer the best real estate consultancy in the market for Residential, Industrial, Agricultural and Commercial properties. Services are offered for Property Buying, Selling, Renting and Leasing. We have in depth information regarding the property owners and buyers and assure the best property deals for both parties. V. S. Associates provides the services of Property Buying in Sonepat. Services of Property buying are offered for Residential, Commercial, Industrial and Agricultural properties. We have an extensive database on the potential sellers, their property listings and their quoted prices. While negotiating the prices, the best property deals are assured to the buyers. V. S. Associates offers the services of Property Selling in Sonepat. We are specialized in providing these services for Residential, Commercial, Industrial and Agricultural properties. A comprehensive database on prospective buyers, their backgrounds, the properties they are interested in and the amount they are willing to spend. We guarantee the best deals to the sellers after the appraisal of properties. V. S. Associates provides the services of Property Rental in Sonepat. 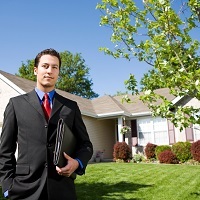 We act as a common link between the property owner and the tenant. We have detailed information on the potential landlords, the properties to be rented out and the expected rents. The finest deals are in the pipeline for the property owners as well as the tenants.